The answer to: “How do you avoid spoiled beer?” seems easy enough. Keep everything clean seems to be the first answer. Yet, like an onion, there are layers beyond that. Fermentation temperature control, oxidation and wild organisms … all play wild cards in finishing with a consistent and clean brew. For craft breweries that lager, hitting precise temperatures are crucial. Cold rooms, glycol and horsepower are vital to success. For McMinnville, Oregon’s Heater Allen Brewing, getting the 1,300 barrels per year of lagered beer means keeping things cold. 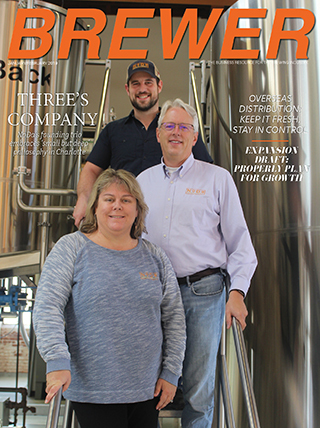 All five of the brewery’s 15-barrel fermentors along with a 12-bbl lagering tank and a cold liquor tank run off a three horsepower glycol system. The majority of Heater Allen’s lagering tanks are in three walk-in cold rooms combining to make a total of 530 square feet with 16 tanks that hold nearly 200 bbls at a time. “The cold rooms are nice because we don’t have to worry about having to hook up a bunch of tanks to glycol and it is cheaper to buy single walled tanks if you have the cold space to put them,” Allen said. A glycol system is pretty easy to maintain, Allen said. “The two things that we have done to keep it up and running properly are to make sure it has enough glycol and on really hot days we will sometimes spray the system with cold water — ever since we started using a cold liquor tank we haven’t had to do this,” she said. On a larger scale, Philadelphia’s Yards Brewing upped its game by going from a cool basement in its former facility to multiple cold boxes, automatic controls to regulate air and automated doors to help minimize cold air loss in its new brewery. 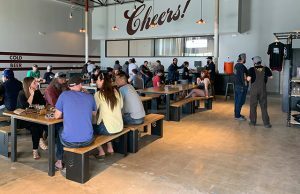 Glycol is still a part of the process and the brewery’s director of quality control, Frank Winslow, said one piece of the puzzle is figure out a proper chilling rate. “You want to hit the right temperature, not freeze up or damage the system,” he said. Watching the viscosity of the mixture is important. Glycol is not cheap, and of course, brewers would rather have more water in the system. Winslow also noted that knowing where the pressure relief is on the system is key. Brewing is problem solving and trying to figure out a more efficient way to do things, Winslow explained when talking about improving quality in beer. 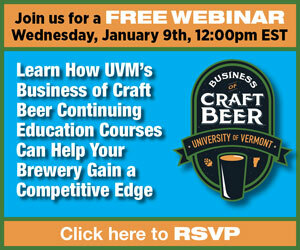 But, with each addition of extra testing or more complications, a brewery is adding a price. “But you are buying some other aspect of consistency or confidence in the product or assurance of the process,” Winslow noted. Some of those quality insurances include microbiological control and management. Cleaning is one thing. It can help in prevention and protection, but science can improve the odds of making sure it’s done right the first time. Proper CIP and detection methods, such as a adenosine triphosphate (ATP) detection bioluminescence spray on tanks help in preparing and detecting residue that still needs to be properly cleaned. Such problems spots can be hop ports on the top of the tank, especially if the krausen reaches too high and yeast gets into the top port. “It doesn’t tell you something is alive there, but it does say that it found ATP,” Winslow said. “Evidence that something was there or a residue at some point. Along with making liquid gold, the second most important thing a brewer does in a brew day is intentionally spoiling something with yeast to create a new process. Therein lies the problem, Winslow pointed out. Yeast can be a major problem in spoilage. Even the first homebrewed batch someone makes that has a phenolic smell or taste knows that bad yeast care means bad beer. That means maintenance and care for yeast, making sure what conditions it likes, the flavors wanted, and what to give the yeast to thrive with proper conditions can mean happy yeast. 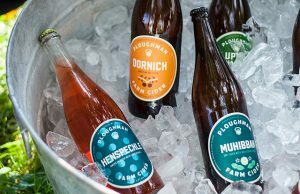 “If you do have some transient organism into the beer, it’s going to be at a low volume and out-competed by the yeast, which is intentionally there, it should not cause an issue,” Winslow said. Sure, this is basic facts for most brewers, but at smaller breweries, lab work and yeast care may not be near the top of the list of expenditures. Establishing and understanding a set list of quality parameters needs to be taken stock. That why at Yards, Winslow takes a yeast cell count and checks viability, including using polymerase chain reaction (PCS) purification methods to amplify the DNA of a yeast strain to see if there is a presence of any particular signal specific to a spoilage yeast or bacterium. “We can identify that there is something that could cause us a problem [in about four hours],” Winslow said comparing to a growth test that can take 96 hours to obtain. 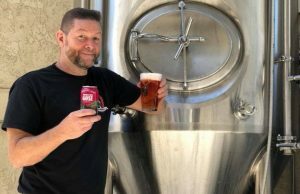 “It gives us a sense if there is a way to filter it out if its a wild yeast or crash it and do something to get whatever it is before it has an effect on the flavor,” he said, noting that very few times in his 10 years with Yards has a batch been dumped. 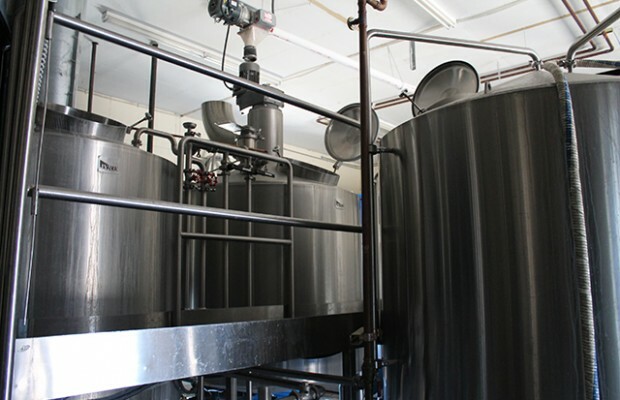 “A fermentor is hard to clean, a brite tank is harder to clean, but a bottle filler is almost impossible to keep clean. As you push stuff through the system you have to make these decisions and see if it’s not worth it. At the end of the day, it happens. Any brewer that has never dumped a batch of beer may well be serving something that shouldn’t go out. It’s a biological system and it only takes one cell in a bottle to spoil that bottle.